Town located in the province of Imperia at the centre of the Argentina valley, on the shores of the river Badalucco. It is part of the mountain community Argentina Armee. Badalucco is an ancient medieval village, a complex of tall and narrow stone houses, divided by narrow streets and dominated by a terraced hill bordered by stone walls. It is the result of man's attempt to build pieces of flat land, more suitable for crops, in the bitter and harsh territory of Liguria. 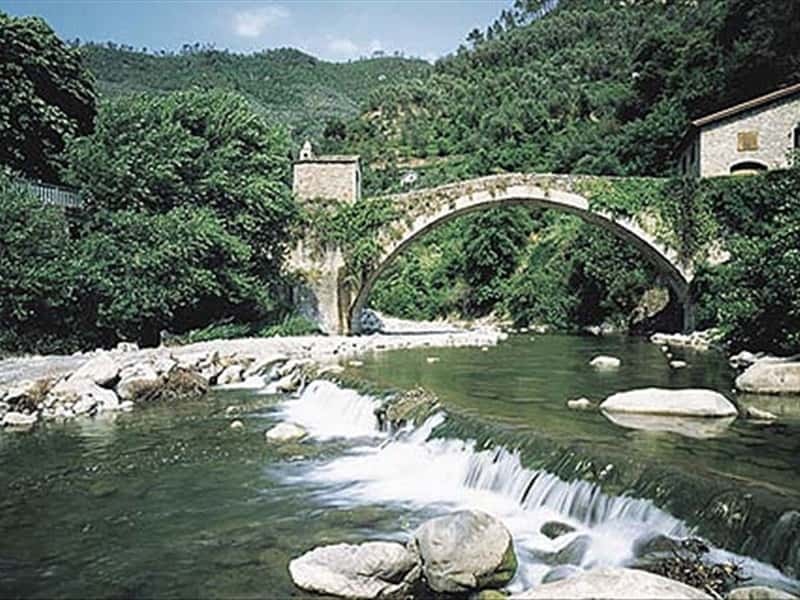 At the entrance and at the exit of the town, both of particular fascination, there are the two humpback bridges of the late medieval era and their ancient gates: the Porta di San Rocco, the Porta del Poggetto, the Porta of Saint Lucia, the Porta of Beo and the Porta of Castella. Near to the main centre, in the area known as Campo Marzio in 1818 B.C., the historians narrate of a famous battle between the Roman army and the people of Liguria. The Romans defeated the local people and subdued the whole Riviera di Ponente area. Until the middle of the XIII, it was a fief of the Counts of Ventimiglia, then in 1258 it was invaded by troops from Genoa during the war with Charles of Anjou, and only a year later, the Republic of Genoa managed to extend its dominion over the territory of Badalucco . In 1747 it was occupied by the Austro-Hungarian Empire and in 1797 by the troops of Napoleon. With the fall of the French Empire, the town was annexed to the Kingdom of Sardinia and then to that of Italy. The Boeri Palace built around the XVI century. The Chapel of the Poggio di Pallarea built in 1721 and entitled to the Regina of All Saints. The Church of St. Nicholas, built in the XVII century. The Parish Church of Santa Maria Assunta and San Giorgio, built between the years 1683 and 1691 and subject to major refurbishments in the XIX century. The Baroque façade is rich in decorations with two rows of Corinthian columns overlapping niches which contain a series of statues and a rose window at the centre of the second floor. Inside it preserves a wooden sculpture depicting the Madonna of the artist Anton Maria Maragliano, a group of angels created by students of the school of Bernini, a painting by Francesco Maria Narice dating from 1756, paintings by Francesco Brea and several other masterpieces of the XVI, XVII and XVIII centuries. The charming Old town centre. This town web page has been visited 14,884 times.